We are really happy to present the sixth instalment of our MIMS forgotten treasure mix series. After great mixes from Zed Bias, Taku, Fred Everything, Tall Black Guy and Jesse Futureman our 6th mix comes from none other than Dom Servini. Pillar of the London eclectic scene and WahWah45′s label boss, Dom takes us on a really great (vinyl only) journey of his favorite tracks and influences! As a radio DJ, Dom hosts a weekly Monday night live DAB radio show on Colourful Radio as well as a monthly Wah Wah Radio show. 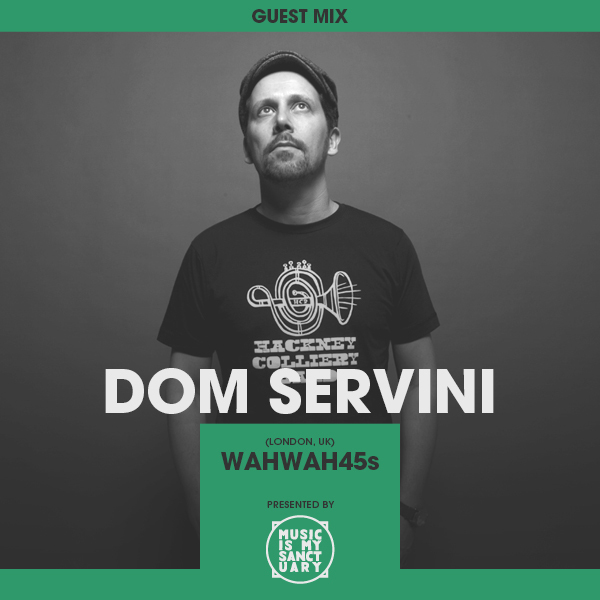 This mix is all about Dom Servini’s influences!